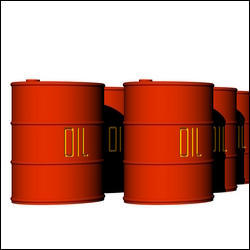 Initially, US crude oil plunged on the back of rising stockpiles as indicated by the US Department of Energy's weekly inventories report. However, a late rally in stocks changed the mood in the energy complex, driving the market price $0.49 higher for the day to $93.98. Fed Chair-nominee Janet Yellen lent gold a helping hand yesterday by suggesting that she will carry on with quantitative easing. Gold investors were quick to spot the opportunity, pushing the precious metal another $5.6 higher to $1,286.8. The delayed weekly US crude oil inventories are due later today, following the Veterans Day holiday, and are expected to show a rise to their highest level since June. However, a sharp rally in equities and a renewed weakening in the US dollar had the upper hand, driving the price of Nymex crude oil $0.46 higher to $93.48. Gold bugs were thrown back into the market yesterday by speculation that Federal Reserve Chairman nominee Janet Yellen is not yet comfortable with the state of economy and the labour market. Once she confirmed those suspicions, gold prices moved up $13.7 to $1,281.1 as investors look for that store of value trade once more. Nymex crude oil reached a fresh recent low, plunging $1.95 to $93.03, amid speculation in the energy complex that better economic data could trigger tapering sooner than expected. The International Energy Agency also suggested that the US will surpass Saudi Arabia and Russia as the top crude producer by 2015. Unfortunately, for now it doesn't look like the demand is keeping up. Gold investors are still afraid of the possibility that the US Federal Reserve will start scaling back their quantitative easing programme despite little movement in inflation. As a result, the precious metal continued its slump yesterday, losing another $14.8 to $1,267.3. Failure to reach an agreement between Iran and the West regarding the Middle Eastern nation's nuclear program triggered a rally in US crude prices yesterday. The market saw a $0.56 gain to $94.97 but the price is still struggling to post a meaningful rebound from its recent lows. The gold CFD market resumed its downside trajectory yesterday, losing another $5.1 to $1,282.2 despite renewed weakening in the dollar. Gold analysis suggests that another test of support around $1,270 is underway, with the short-term moving averages indicating further weakness for the precious metal. WTI crude failed to rebound from the five months low that it's been hovering around over the last few sessions, instead closing nearly flat at $94.34. The main culprit was ongoing oversupply in the US, which dented any optimism regarding the economic recovery. A stronger dollar did add some downside pressure to the energy markets but that was cancelled out by the support from a rally in equities. Gold investors appeared to be concerned that a better than forecast payrolls report might convince the Fed to start tapering by the end of 2013. On top of that, the US dollar continued to strengthen, pushing gold prices $20 lower to $1,287.5.